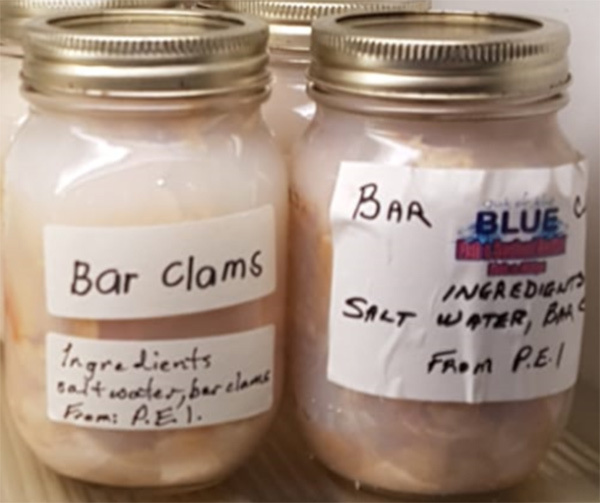 Ottawa, March 15, 2019 - Out of the Blue Fish & Seafood Market is recalling bottled bar clams from the marketplace because they may permit the growth of Clostridium botulinum. Consumers should not consume the recalled products described below. The following products were sold at Out of the Blue Fish & Seafood Market, 1A The Square, Bayfield, Ontario.